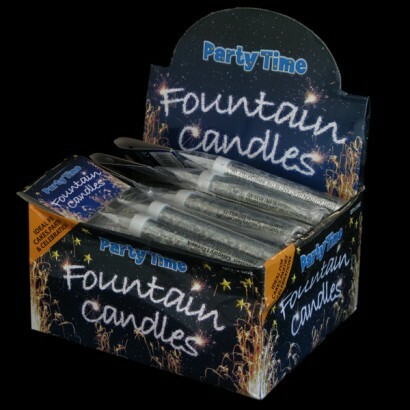 Impress your guests with these amazing Partytime Ice Fountain Candles. This bumper box contains a massive 48 candles, packaged in packs of two. Whether you are adding sparkle to a wedding, special occasion or festive events, ice fountain candles will create an incredible effect to blow your guests away! Before use, remove spike and replace on other end of ice fountain. Insert spike fully into cake so fountain is securely held vertically. Stand sideways, light ignition head and retire immediately by 1 metre.